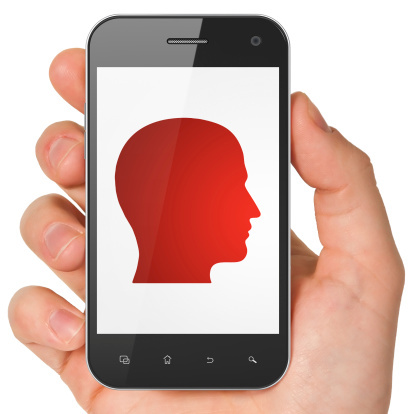 New evidence published in the peer-reviewed journal PLOS ONE suggests that third generation (3G) mobile phones may alter the brain’s structure and function—especially brain wave activity connected to behavior, mood, and memory loss. The study is the first single-blinded, placebo-controlled trial to show that a 15-minute 3G-cell phone conversation, directly exposed to the ear, can lead to increased brain wave activity of gamma, beta, and alpha frequency bands. Researchers discovered that the electroencephalography (EEG) changes altered nearly the entire function and structure of the brain. The study included 31 women with an average age of 26.7 years old. They were non-smokers with no previous history of nervous system problems or cardiac disorders. Study researchers held two experiments that measured EEG with shielded electrodes placed under the midline of the eyes. Researchers indicated that further studies are needed that measure possible long-term problems with cell phone use. A 2014 study published in Clinical Neurophysiology also found that 4G LTE (long-term evolution) radiofrequency electromagnetic field (RF-EMF) exposure altered some brain regions in a 30-minute cell phone conversation. Previous studies have also linked cell phone exposure to disturbed brain wave activity and insomnia. Other negative health effects associated with cell phone use include headaches, adrenal fatigue, arthritis, autism, DNA damage, immune system suppression, and cancers like eye cancer, leukemia, oral cancer, and pituitary gland cancer. Mobile phones have become a necessity for many people; however, experts generally recommend that precautions be taken to limit cell phone use, including texting rather than talking and avoiding direct exposure to the head or skin. Headphones can also help reduce the exposure to the harmful EMF radiation. Ji, S., “Brain Wave Warping Effect of Mobile Phones, Study Reveals,” GreenMedInfo.com, July 12, 2015; http://www.greenmedinfo.com/blog/brain-wave-warping-effect-mobile-phones-study-reveals. Roggeveen, S., et al., “EEG Changes Due to Experimentally Induced 3G Mobile Phone Radiation,” PLOS ONE June 8, 2015; 10(6): e0129496, doi: 10.1371/journal.pone.0129496. Lv, B., et al., “The alteration of spontaneous low frequency oscillations caused by acute electromagnetic fields exposure,” Clinical Neurophysiology February 2014; 125(5): 277–286, doi: 10.1016/j.clinph.2013.07.018.